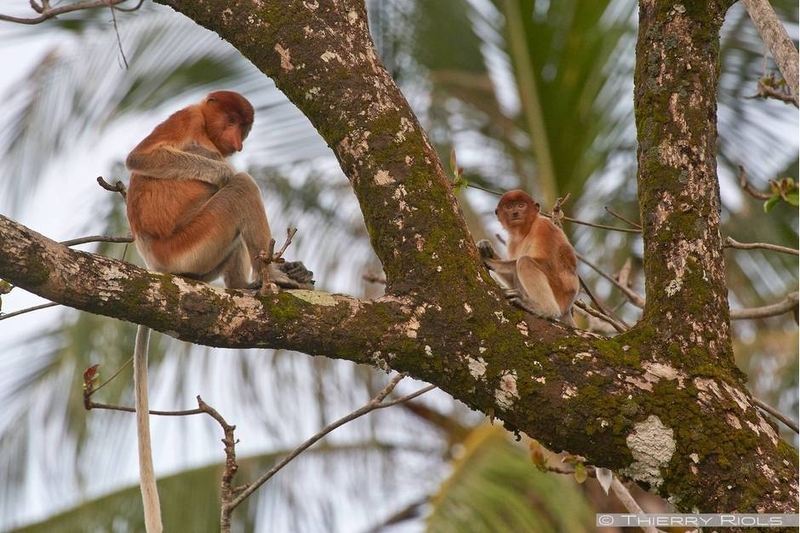 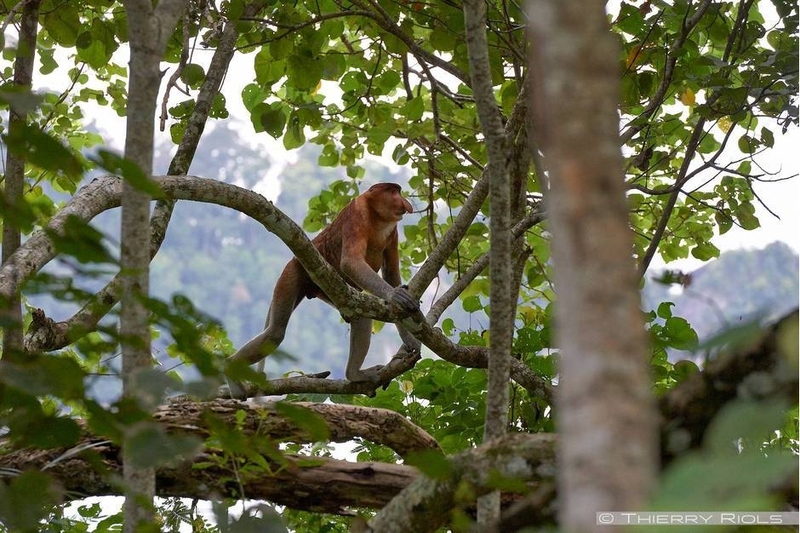 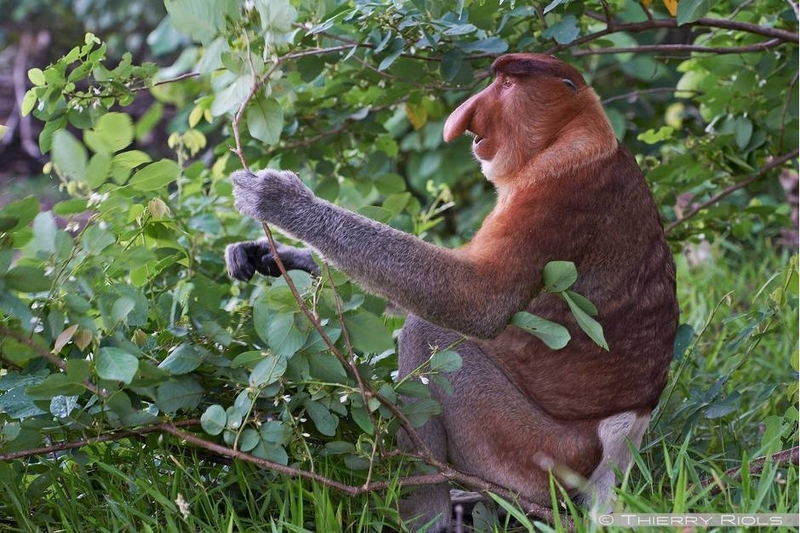 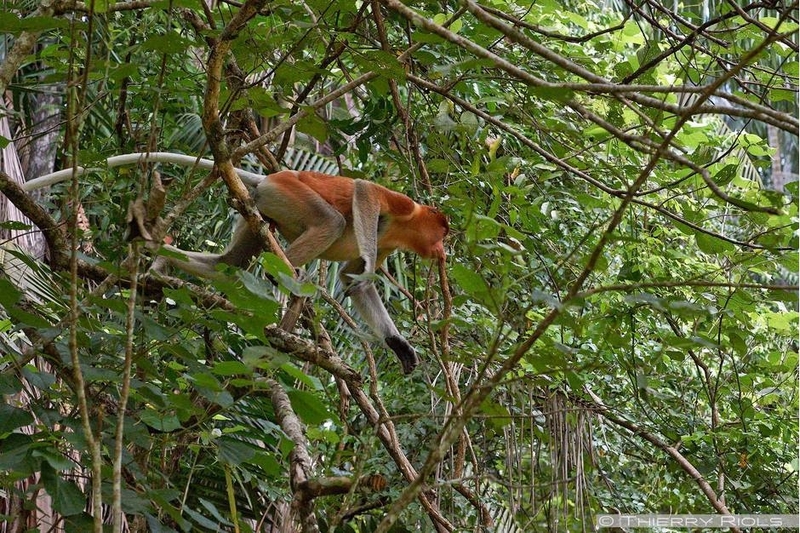 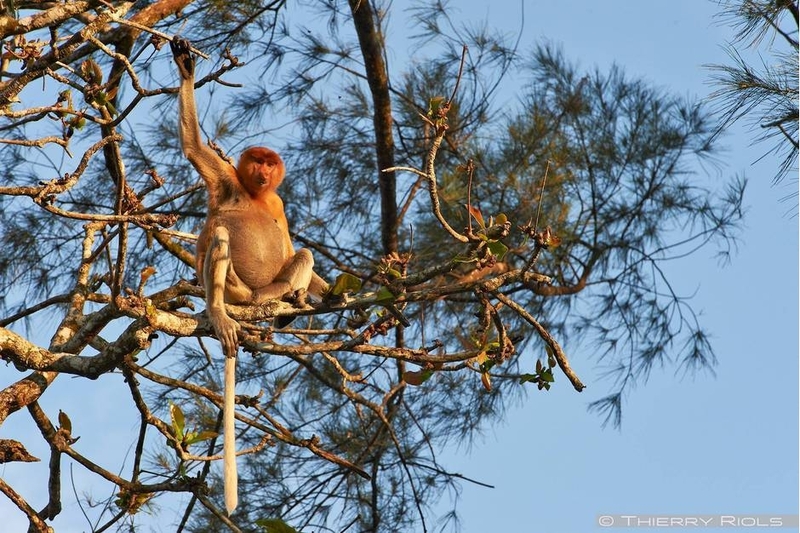 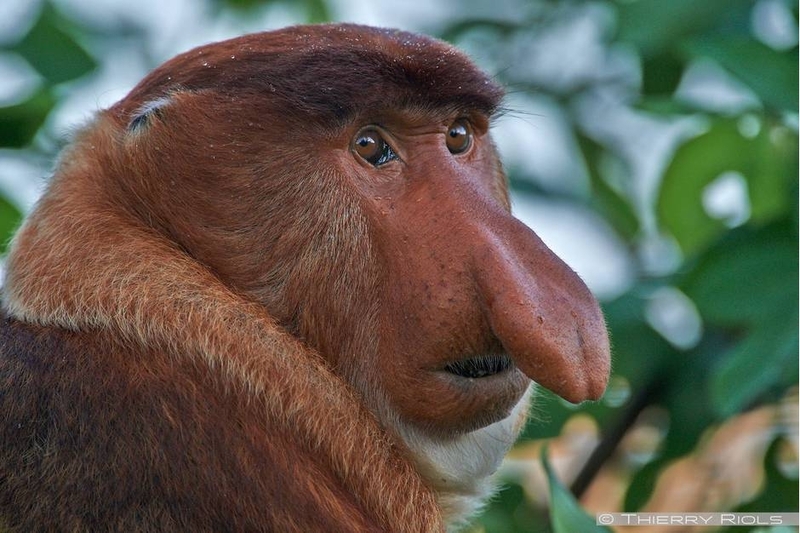 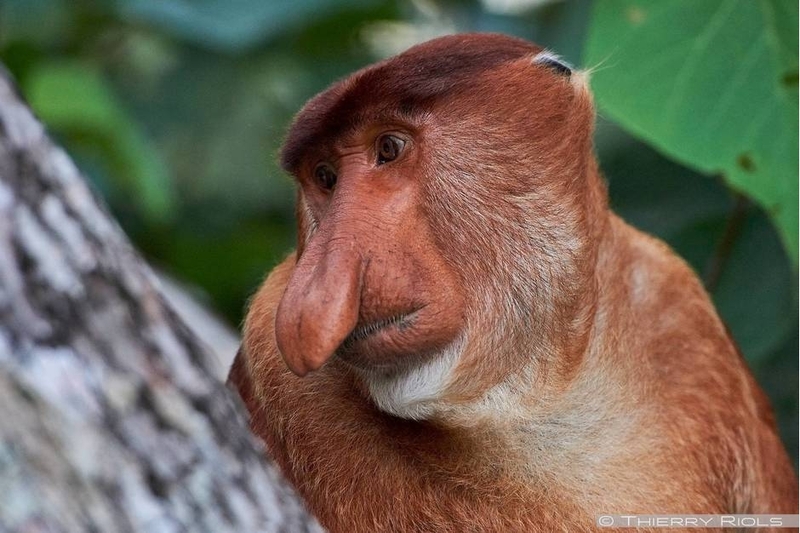 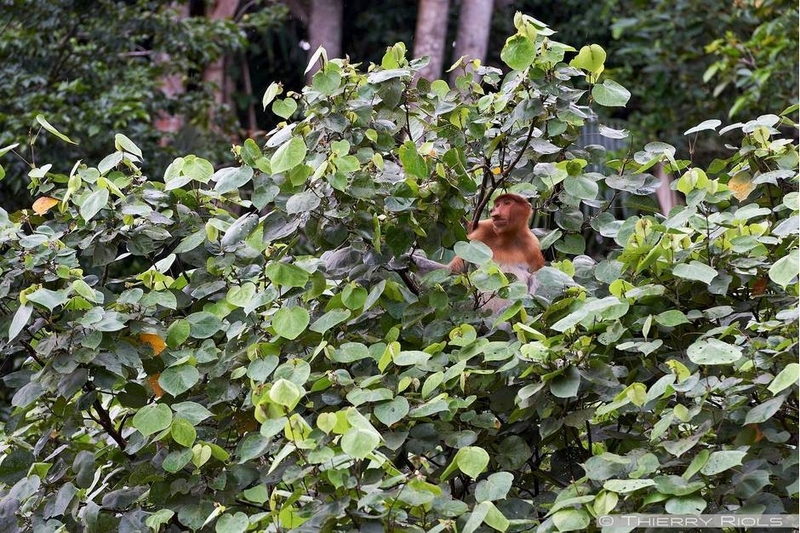 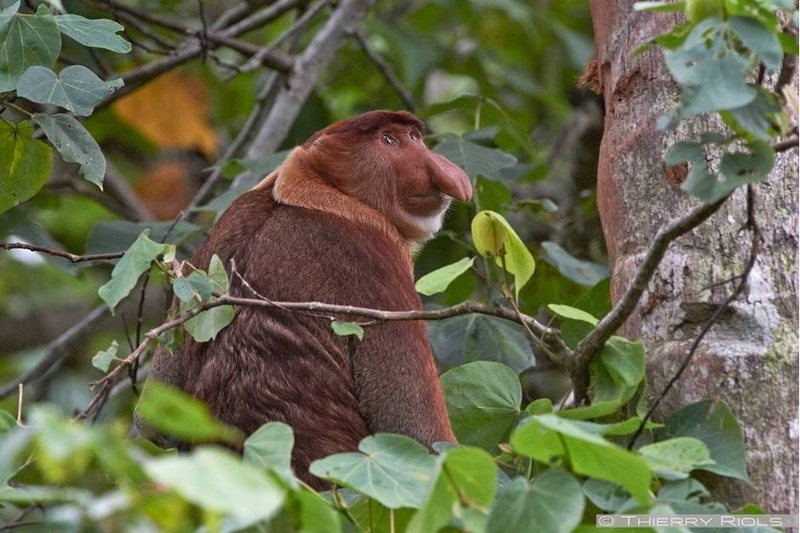 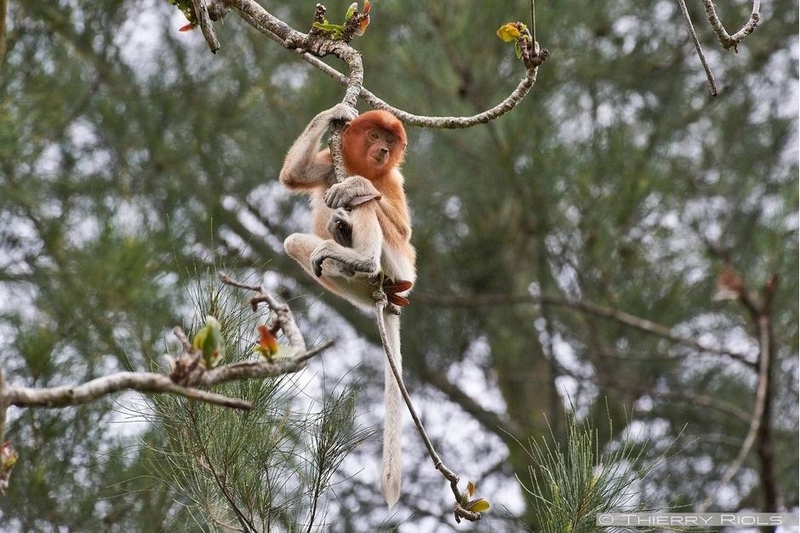 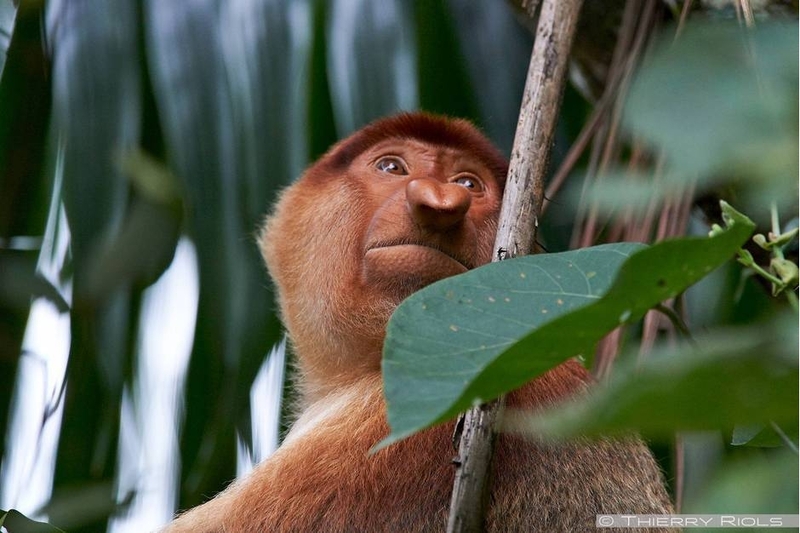 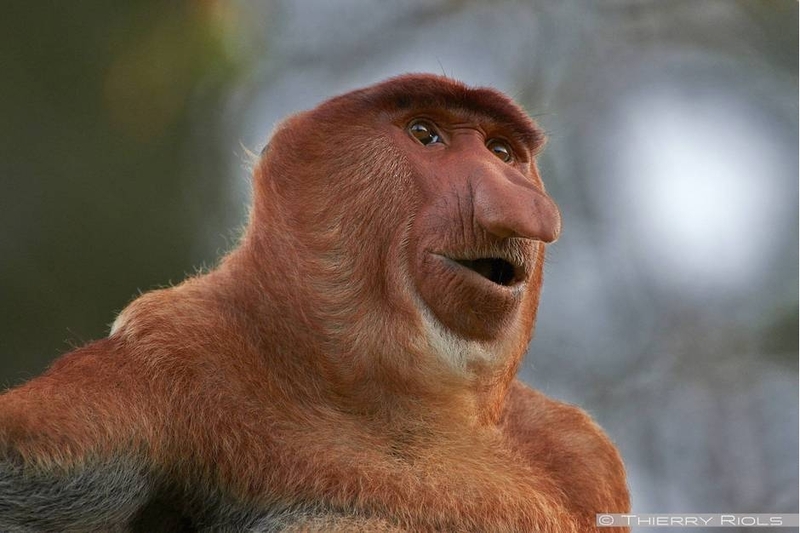 Proboscis monkey - Nasalis larvatus - is endemic to the island of Borneo. 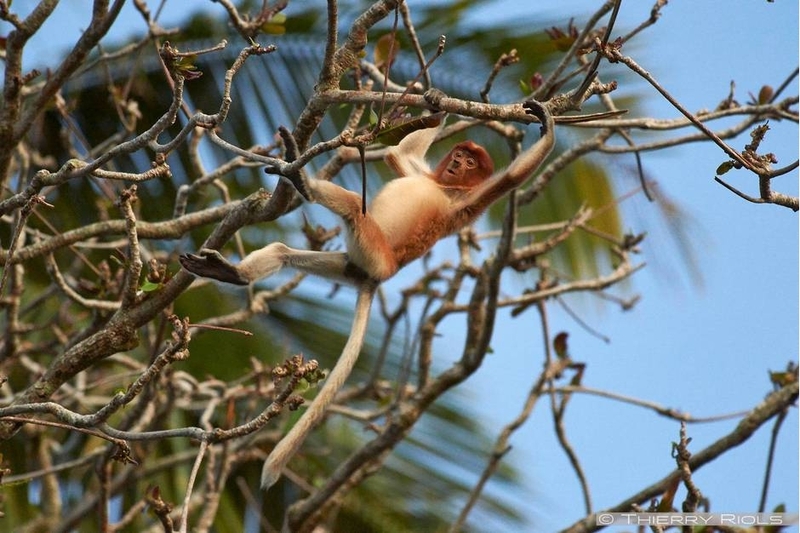 Monkey tree, the male measures up to 80 cm high and has a long tail that can measure 76 cm. 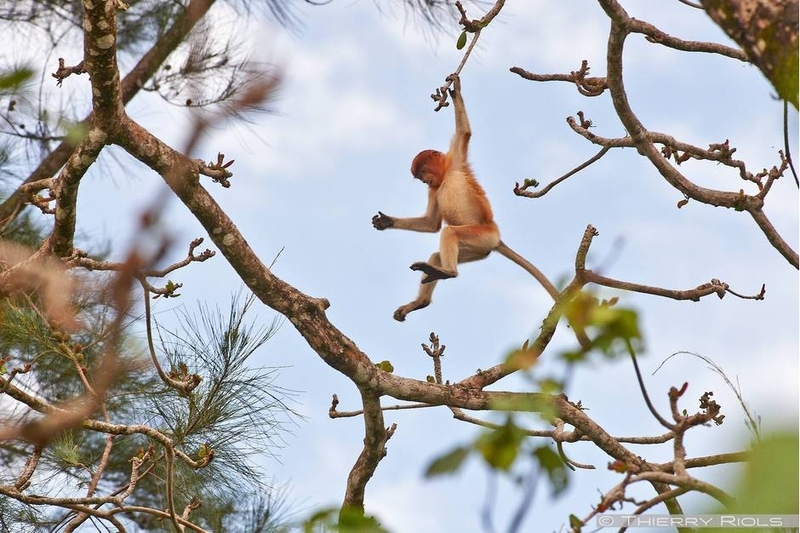 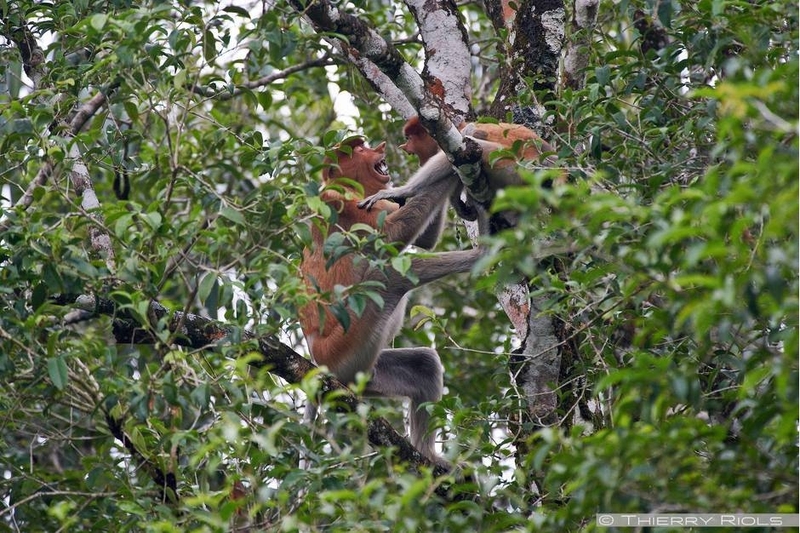 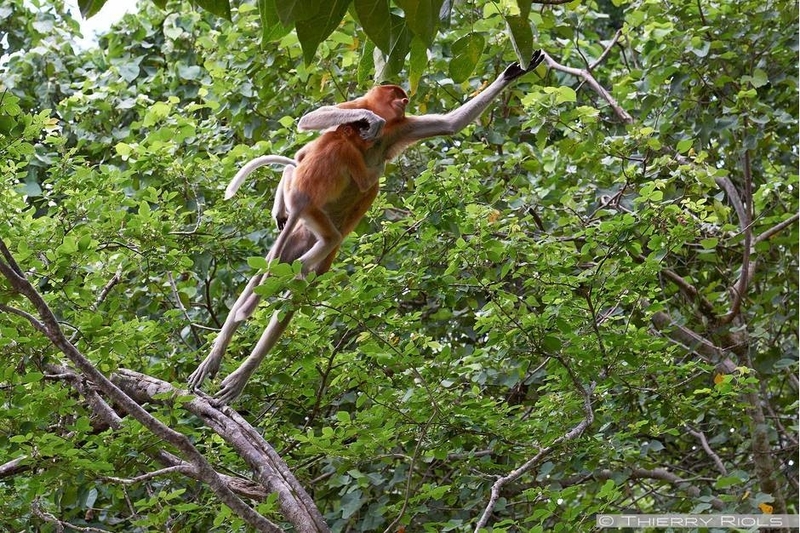 Proboscis monkeys live in groups of 10-30 individuals. 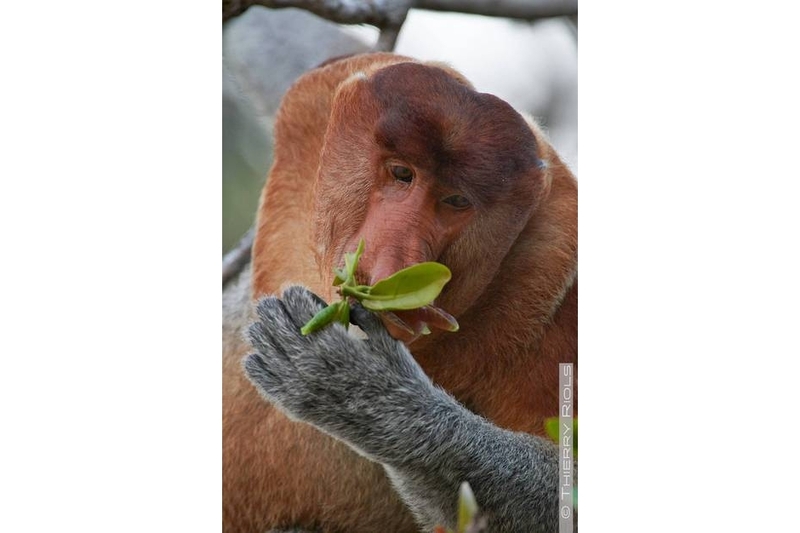 They feed leaves and fruits. 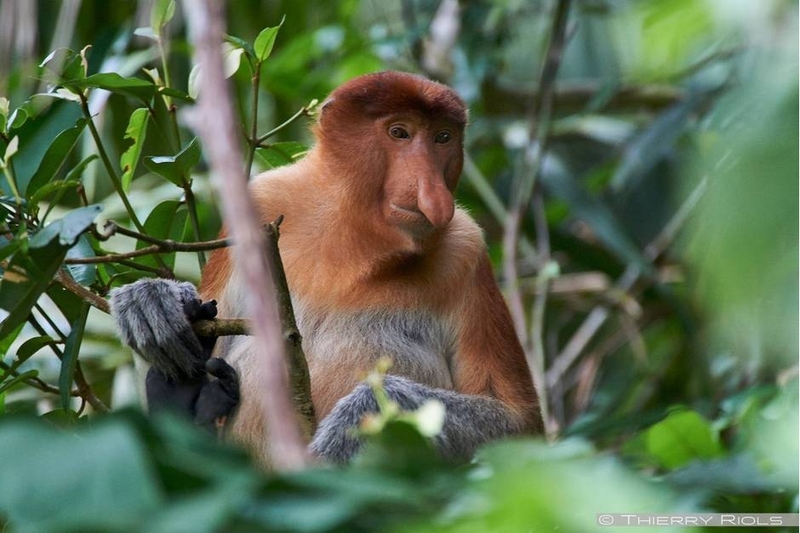 The proboscis monkey is an endangered species with about 3, 000 individuals, because of the deforestation of their habitat.